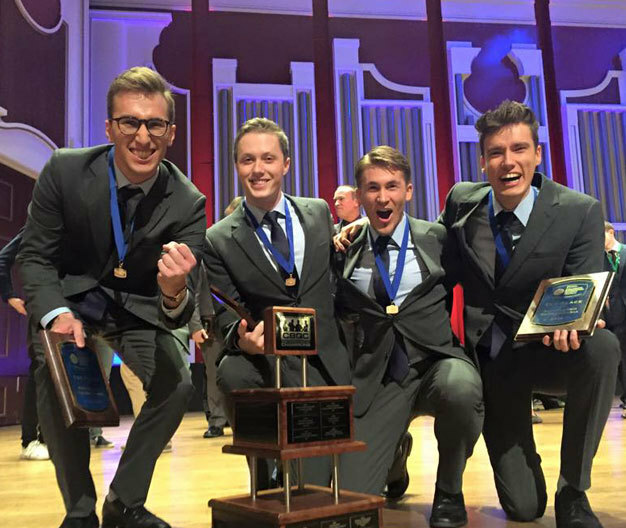 Crossroads, our 2009 International Quartet Champion, will receive the prestigious Stand for Music Award from the National Association for Music Education (NAfME) at its June Hill Day event in Washington, DC. Bestowed only upon select, appropriate recipients through the course of NAfME’s 100+ year history, the award recognizes personal commitment to the promotion of the music education cause, both through engagement with policymakers and outreach to potential music education supporters. 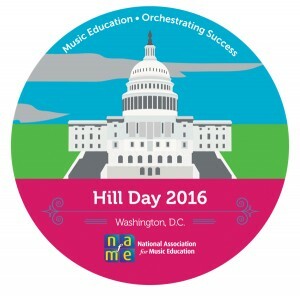 On June 23, NAfME will lead the single largest gathering of music education advocates to Capitol Hill. The event also will feature advocacy training, a special Collegiate Advocacy Summit, and an award ceremony, including the presentation of the Stand for Music Award to Crossroads Quartet. NAfME welcomes Crossroads’ voices to the current national conversation on the importance of ensuring access to classroom music education programs, for all young people. Crossroads is widely hailed as worldwide ambassadors to music educators, with landmark performances at national conferences in collaboration with Grammy-award winners The Fairfield Four that explore the common roots of gospel and barbershop harmony in African-American music.